Many people say that troubles come because of money or richness. That is not exactly correct. Although, with money, we will have a longer hisab on judgement day, and the spending will be questioned throrougly, but it’s not all bad. If it wasn’t for the converting of rich people to Islam, we wouldn’t have been able to do all the great work Islam did. We wouldn’t afford it. 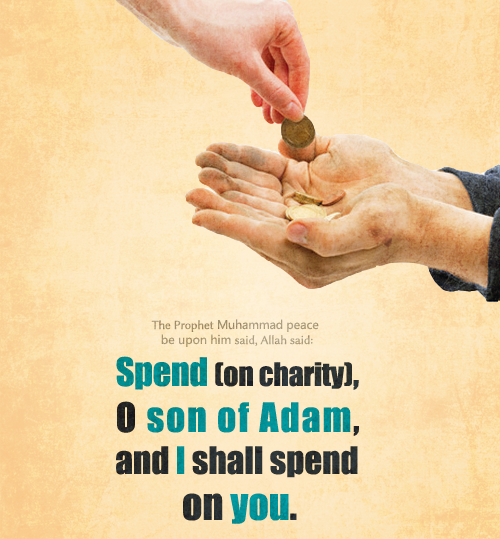 When these new muslims heard about the reward for helping people in need, and giving away money for the sake of Allah, they did not hesitate to eagerly increase the reward. When we say that money and richness is the way to evil, that is incorrect. It is the intention and taqwa that is important. If we are rich and we have good intentions, we will spend on good matters. If we have godfear with the good niyah, we will also protect our earnings from being spent on wrong matters. A person with bad intentions and less godfear, will spend his wages on wrong matters, earning the sinful repercussions. But even if the same man did not have money, but still he had bad intentions and no godfear, and he wished for money to spend it on bad matters, he will still earn the sins, even if he did not commit them. Since Allah rewards according to the purity of good intention, he also punishes according to the wretchedness of bad intentions. « Will Allah Love Me?